Much of the information we put out here is to emphasize that many of the ADA violations are addressed easily. Some are not. This article is taken from [Facilities.net. I’m Dan Hounsell, editor of Maintenance Solutions magazine. Today’s topic is, facility renovations and ADA. Maintenance and engineering managers undertaking renovations in institutional and commercial facilities need to be aware of the impact on the project of requirements under the Americans with Disabilities Act, or ADA. The requirements for readily achievable barrier removal under ADA began Jan. 26, 1992, and have continued since then. Organizations must remove barriers, with a few exceptions, regardless of any work being done. Anytime a facility undergoes renovations where access barriers exist, the organization must spend 20 percent of the construction costs on removing these barriers from the path of travel. For ADA purposes, the path of travel includes water fountains and restrooms. Any renovation to a primary function area triggers this requirement. The phrase primary function area applies to an area where the activities are germane to the business, such as a bank�s teller stations. As with the model building code — The International Building Code and the American National Standards Institute — ADA does not require barrier removal on the path of travel that exceeds 20 percent of the cost of the renovation. The major difference in this regard between ADA requirements and building codes is that the ADA requires barrier removal in existing buildings, regardless of renovations. Building codes do not come into play until renovations, alterations or new construction occurs. Managers can find more specific information in the 1991 ADA Standards for Accessible Design, Sec.36.403 Alterations: Path of travel. 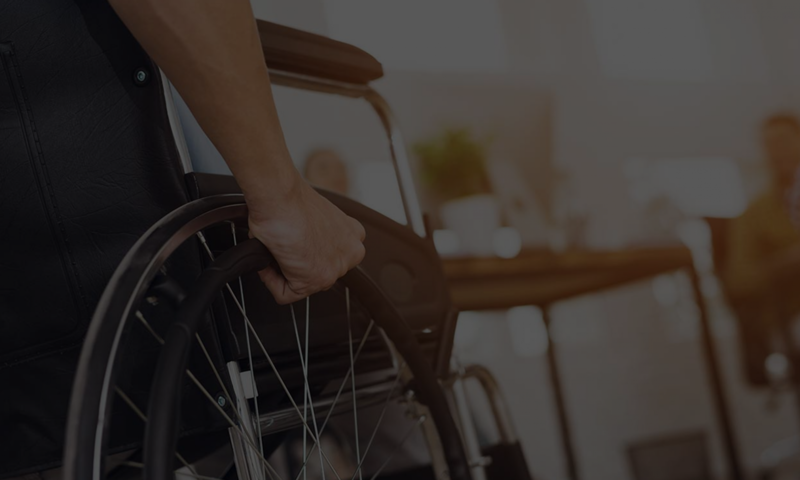 ADA guidelines typically supersede a state or local building code, unless the code provides for greater or equal protection of individuals with disabilities. I would also like to add that it’s not commonly understood that new construction can trigger the ADA. One fear of owners is that when attempting to ‘do the right thing’ one can sometimes be dragged by construction law into doing more than the minimum, especially in how the ADA influences the building code. (Many code officials we’ve spoke with don’t realize that the ADA trigger is there). Now you’ll also get many savvy attorneys and architects that will claim that ‘legally non-conforming’ situations do not require any kind of addressing. They rightly understand that not touching existing items won’t trigger ADA compliance — but this leads to even deeper problems. At first, their advice sounds great, as owners don’t want to hear that they need to do anything. But what these professionals don’t understand that if those ‘legally non-conforming’ structures pose fixable ADA violations, leaving those situations to persist will continually trigger even more ADA work. As time goes on, those non-compliant situations will accrue an increase in what needs to be remedied. In other words, if you have a non-compliant ramp in your facility newly placed in 2003, and you don’t fix it right away, in 2010, not only will you be required to fix that ramp — you will also have 7 years of budget in which you could have fixed the ramp and didn’t. In court, a suing attorney will claim that what was financially remediable in 2 years is ‘easy’ over a 7 year period. That situation will look bad, as though you never intended to fix that ramp and that you are willfully discriminating. We have heard this so often, as many owners have come to us having fallen into this situation, when they have the panic of court bearing down on them. Don’t let yourself fall into this situation! Get our exposure report so as to make informed decisions on what you are liable for so you can address it right away.